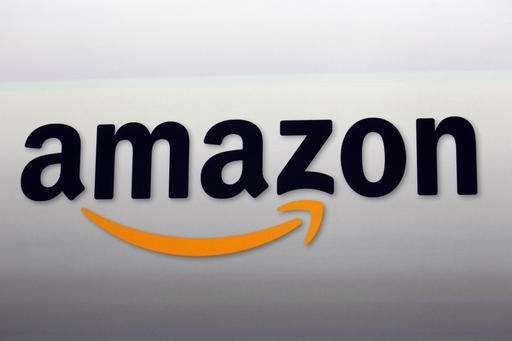 Online giant Amazon said Thursday profit in the second quarter surged ninefold to $857 million, lifted by cloud services as the tech giant expanded its offerings. Revenues jumped 31 percent to $30.4 billion, Amazon said in stronger-than-expected results. While Amazon developed a reputation for delivering little or no profit in its retail operations, its earnings have been growing over the past year as it expands into video and new delivery services and boosts its cloud computing unit, Amazon Web Services (AWS). The strong profit came a year after earnings of $92 million which began a string of improvements for Amazon. Amazon shares rose 1.5 percent in after-hours trade. The company has also been building loyalty with its Amazon Prime subscription service, which provides access to its online video and music as well as fast delivery for most items. Amazon has also been expanding globally, notably to India. "It's been a busy few months for Amazon around the world, and particularly in India—where we launched a new AWS region, introduced Prime with unlimited free shipping, and announced that Prime Video is coming soon, offering Prime members in India exclusive access to Amazon Original Series and Movies—including original content featuring top Indian creators and talent," said Amazon founder and chief executive Jeff Bezos in a statement. "The team in India is inventing at a torrid pace, and we're very grateful to our Indian customers for their welcoming response." Amazon has offered few details on its Prime subscriber base or the number of its Fire brand devices sold. But analysts at Consumer Intelligence Research Partners estimated Amazon Prime now has 63 million US members, spending on average about $1,200 per year, compared to about $500 per year for non-members. In its statement Amazon said its second annual "Prime Day" was the biggest day ever for Amazon, and was also a record day for Amazon devices globally. It said worldwide orders grew by more than 60 percent. Amazon has been bringing in customers to Prime by touting its streaming video which competes with the likes of Netflix and Hulu. Its Amazon Studios received 16 Emmy nominations for its original programs.